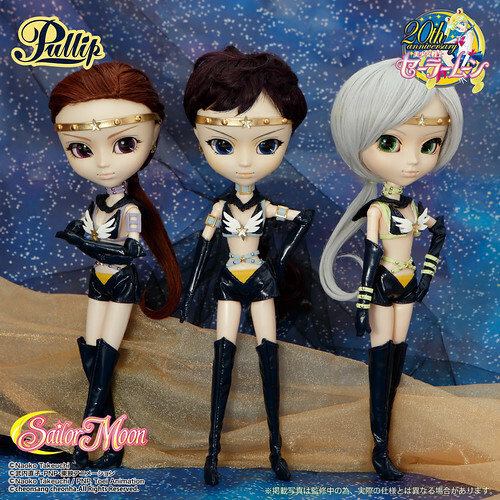 Sailor Moon x Pullip- Sailor Stars Pullips Announced! Groove just made a very exciting announcement via their blog, Groove simultaneously announced three new dolls in their Sailor Moon x Pullip collaboration line the Sailor Starlights. Based on characters from the last arc of the Sailor Moon manga as well as the final season of the original anime series the Sailor Starlights come to earth searching for Princess Kakyuu when not searching for their princess, they masquerade as a boy band (they transform from male to female in the anime series, in the manga it’s implied they merely dress as boys in their civilian form). Sailor Star Maker is the brunette, Sailor Star Fighter has the black hair and the final member of the Sailor Stars is Sailor Star Healer who has the silvery grey hair. My favorite was always Sailor Star Healer, which do you prefer of the three? No details have been announced regarding their release date or price yet, I’m just praying that this isn’t somehow a three pack. This entry was posted in 2016 Groove, Doll, Groove Dolls, Pullip and tagged groove, Pullip, sailor moon, sailor moon x pullip, sailor star fighter, sailor star healer, sailor star maker. Bookmark the permalink. 1 Response to Sailor Moon x Pullip- Sailor Stars Pullips Announced! Ahh! I was hoping for this!! I’ve avoided all the PullipxSM releases up to this point but now I’m doomed. 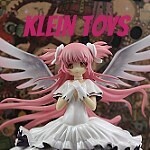 If they release Chibichibi I’m double-doomed!